The name “Evergreen city of India” bestowed upon Thiruvananthapuram by Mahatma Gandhi, father of the Indian nation, suits it the most due to the vibrant city areas found in this town always bustling with people and traffic. Among these the markets and shopping centres of Thiruvananthapuram are the busiest areas of the town where the tourists as well as the local residents are seen shopping for different types of articles ranging from apparels to handicrafts and from jewelleries to souvenirs. When it comes to shopping in Thiruvananthapuram, out of these popular shopping areas in the city, the shopping malls happen to be some of the best shopping centres in the city of Thiruvananthapuram. Being one of the most popular tourist destinations in the southern part of the Indian Subcontinent, Thiruvananthapuram is home to a wide array of shopping centres and shopping malls, situated across the best locations in the city. Among these shopping complexes, the upcoming malls in Thiruvananthapuram happen to be featuring all the latest technologies and conveniences for attracting visitors from every part of the city including its nearby localities. Located in Pattoor, the Artech World Mall is awaiting a grand opening being one of the new shopping malls in the city of Thiruvananthapuram built by the renowned Artech Realtors. 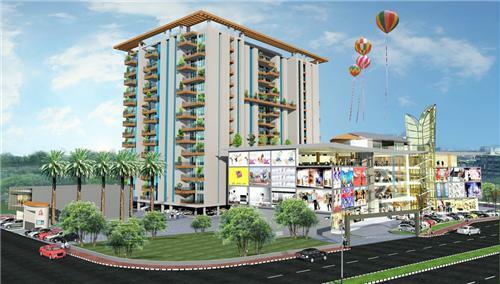 Nikunjam City Square is about to launched as a premium shopping mall in Thiruvananthapuram. An expansive area of about 175,000 square feet is being covered by Nikunjam City Square positioned on M. G. Road at Paramount Junction. The realtor sponsoring the construction of this new mall in Thiruvananthapuram is Nikunjam Construction Private Ltd.
2.1 million square feet is the total area covered by the Plaza Center situated in close proximity to Aakulam Toll Gate. Plaza Centers, an established name in the construction business, exclusively for building spacious malls worldwide. An onsite luxury hotel adds glamour to this upcoming mall in Thiruvananthapuram. The Varkey Mall is situated on M.G. Road, one of the busiest thoroughfares in Thiruvananthapuram. Covering the expanse of about 125,000 square feet it is about to be presented publicly by the Iyer and Mahesh group, a leading name in the field of real estate in Kerala with an experience of more than three decades. Nikunjam Saras Mall is being built as an endeavor from the Nikunjam Builders. Condor Mall is positioned at Pattom covering an area of about 2 lakh square feet, with a fourteen-floor building, which houses a hotel too. Condor Builders Pvt Ltd is promoting the construction of this grand shopping mall in Thiruvananthapuram. The Alfa Mall is about to serve the citizens of Thiruvananthapuram on a total area of 2,50, 000 square feet featuring state-of-the-art facilities for the shoppers. Big I Mall is a new endeavor from Big Infratech India (P) Ltd positioned along NH Bypass at Kazhakuttam nearby Trivandrum International Airport and Techno Park. Still to be launched, Big I Mall covers an area of about 165,000 square feet featuring exclusive facilities that conform to the international standard. The first of its kind, the Big I Mall is a Green Mall in accordance with the norms set by the Indian Green Building Council. Schindler elevators, moving faster than the conventional ones, are also to be introduced in Kerala being imported from Switzerland. SFS Mall, set up at NH Bypass, covers an area of about 4, 50, 000 square feet as an endeavor to serve the tourists and citizens in the town alike. Cyber Palms is the realtor sponsoring this upcoming project in Thiruvananthapuram, the organization being chaired by Mr. Srikant.